Sprawling golden sands for miles, historic buildings and a warm welcome, the Isle of Wight has been a top pick for generations for a reason. Steeped in history with 60 miles of stunning unspoiled scenery and a wealth of attractions, the Isle of Wight has something for everyone. From historic sites to natural delights it is a unique holiday destination and we love going there! 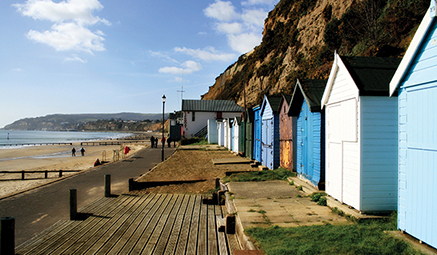 Island Rambler - Full Day - visiting Bonchurch, Ventnor, Alum Bay and the bustling town of Yarmouth. 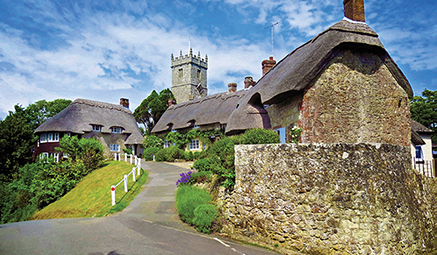 Come with us for an enchanting tour around this picturesque island, beginning with the delightful village of Bonchurch. Next we’re on to Ventnor, famed for its micro climate and wide variety of flora and fauna. Then along past the coastal village of Brighstone to Alum Bay, with a chance to see the world famous coloured sand cliffs that overlook the famous landmark - The Needles Rocks. Finally we'll stop at the town of Yarmouth with its natural harbour and historic castle. Bembridge & Ryde - Full Day - wending our way along the Isle of Wight's coast, we’ll discover the delights of these beautiful island towns. Delight in a scenic drive along the coast to Bembridge, a small seaside town full of beautiful houses and a busy little harbour. Afterwards it’s on to Ryde, the second largest town on the island with its miles of glorious golden sand, shallow coastal waters, bustling marina and beautiful gardens. Godshill - Half Day - discover this picture postcard village, with thatched cottages, quaint tearooms and a model village! This quintessential English village has a delightful medieval church and a winding main street lined with quaint tearooms. Enjoy a traditional cream tea or wander the interesting range of shops offering local crafts and produce. Departure times as indicated. Travel to the south coast for the ferry crossing to the Isle of Wight. Drop off early evening on return.